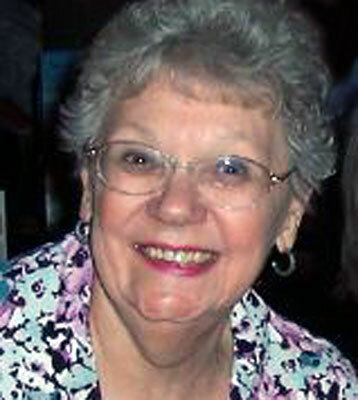 AURORA, ORE. – Millie Burkholder, 81, formerly of Youngstown, passed away Oct. 2, from a stroke suffered Sept. 23. Born May 16, 1932, in Youngstown, she was the daughter of George and Myrtle (McCauley) Valiquette. She graduated from Hubbard High School in 1950. She married Ronald Burkholder on Nov. 30, 1953. He died March 2, 1993. Millie worked as a bookkeeper for Wilkins-Leonard Company, City Loan and Savings and Keystone Rehab. She retired and moved to Oregon in 1996. Besides her husband, Ron, she was preceded in death by her parents; two sisters, Arlene Valiquette, and Kathleen Maxwell; and two brothers, Roy and Robert Valiquette. She leaves three sons, Ronald Jr. (Luanne) of Columbus, Jerry (Karen) of Keizer, Ore., and John (Susan) of Aurora; seven grandchildren; and 11 great-grandchildren. Arrangements are with the Crown Memorial Center. Internment will be at Green Haven Memorial Garden in Canfield.